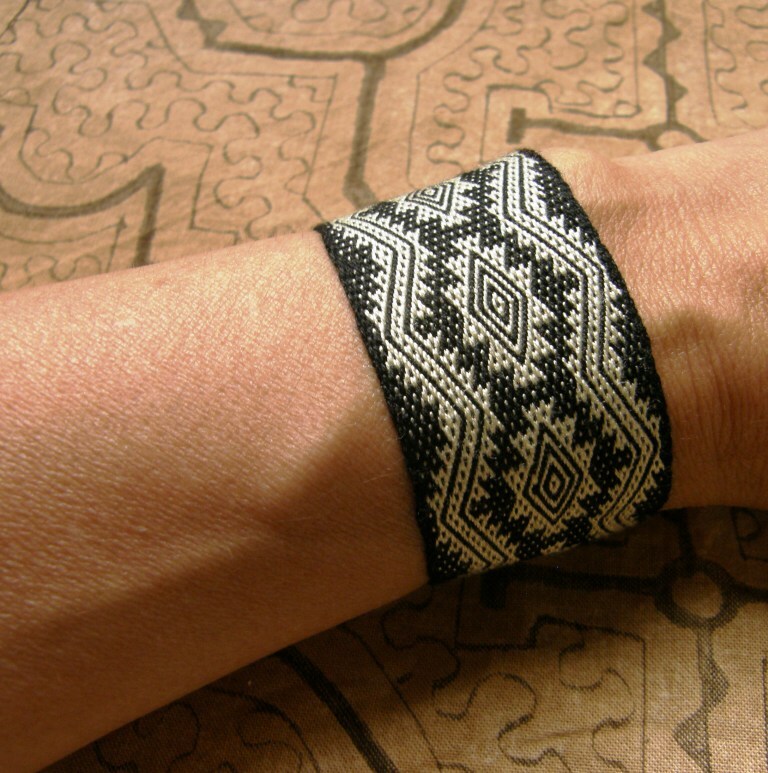 I left you last week with this silk cuff in Andean Pebble Weave still on the loom. I had wound a long enough warp to also be able to weave a few intermesh experiments. I was curious having never before used silk for this structure. And then, I was supposed to go on to my big ikat projects. Wrong.. I got stuck on silk and adornments…cuffs and other stuff… and have been fiddling around with those all week. 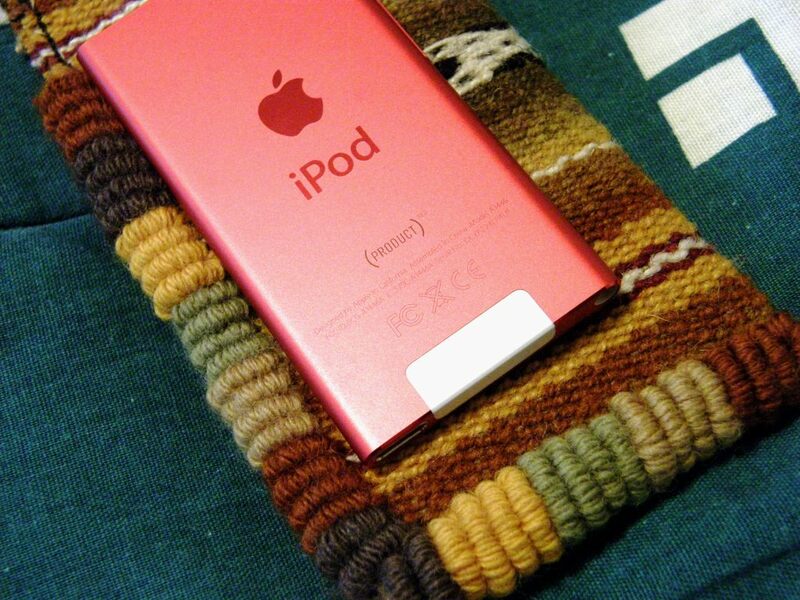 Coil stitches adorn the edges of a tiny case for the iPod that weaving friend, Gwen, gave me. It is no secret that I like dressing up my weavings once they are off the loom. I like nothing better than to add tubular edgings, braids, pom-poms, decorative stitches and tassels to my little bags and pouches….no matter how tiny they are. However, when it comes to dressing up myself, I have absolutely no interest at all. Clothes shopping is torture and I long ago gave up on wearing jewelry after having had several sentimental items yanked off my wrists and neck while walking down the streets of my home here in Bolivia. It’s funny that when I am traveling in South America, I am very careful not to display any ”riches”. Everything I have lost was taken when I was at home in Bolivia, feeling relatively secure, and with my guard down. 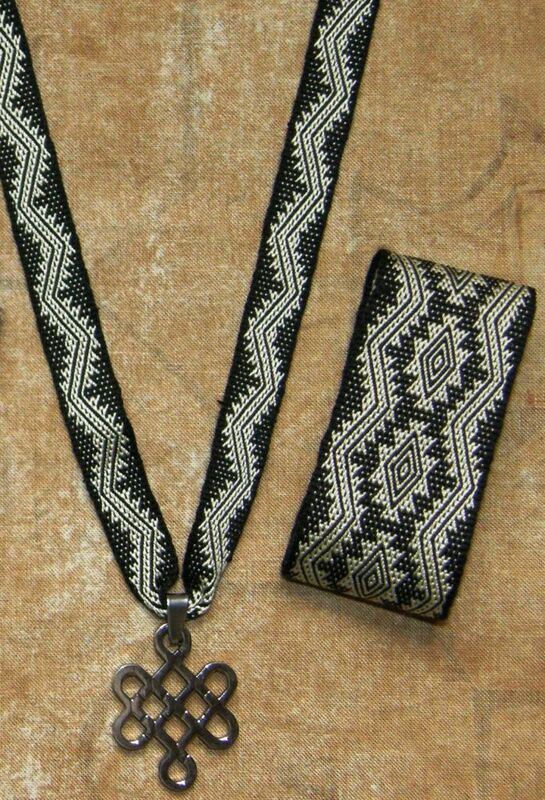 Nevertheless, I have decided that it would be nice to have some woven jewelry to wear while I am weaving with friends and showing them some techniques with all eyes are on my hands. That is what I worked on this week….cuffs, a couple of necklaces and a bracelet. Here are the two faces of the 60/2 silk piece. 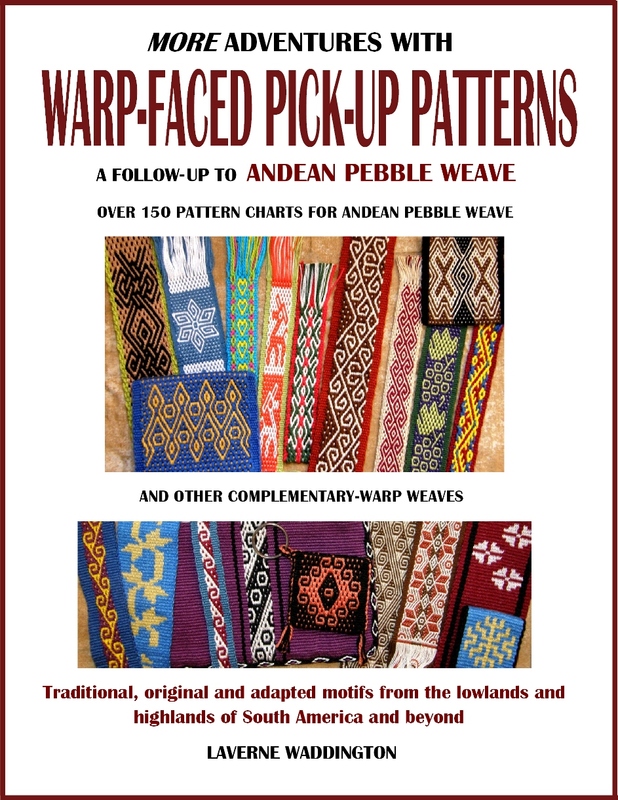 The pattern on the right is one I adapted to the Andean Pebble Weave structure from a piece of Kuba cloth. The other two are in the intermesh technique and I love the way intermesh looks in silk. The strip in the center was really only a sampler as I tried to get the proportions right to match the design on a button that I had bought. The other strip has a motif from Mexican tapestry. It is always hard to decide which face I prefer. Then I started on a silk ribbon to match the cuff I had made some time ago using a pattern of the Guaraní Isoseño weavers here in Santa Cruz. I wanted to use the ribbon as a necklace. According to the legend told to me by my teacher, it was a snake that appeared in a dream and taught weaving patterns to the first Guaraní weaver. 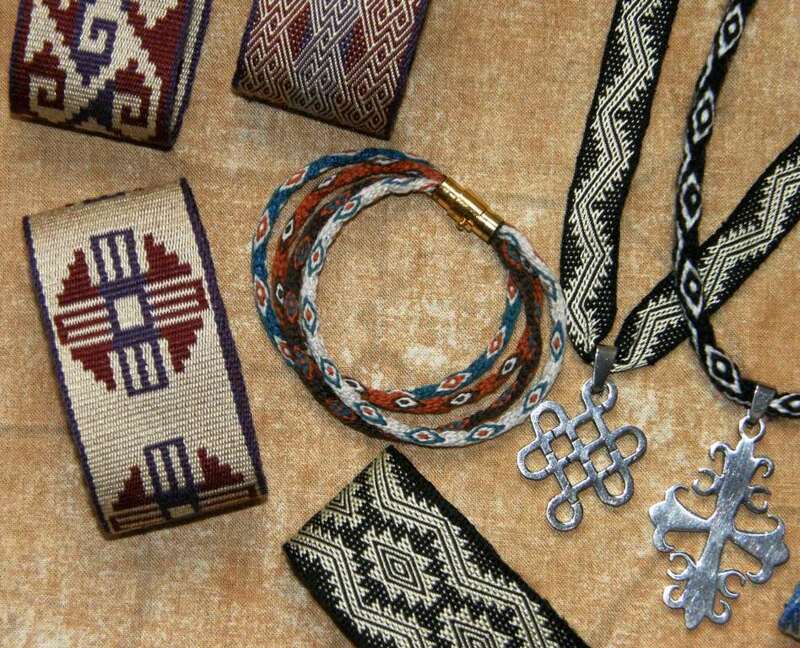 While the Guarani weavers’ Moisy weavings depict colorful large trees, plants, butterflies, birds and flowers, the motifs on their Kara Pepo weavings are limited to snake skin patterns and stars. 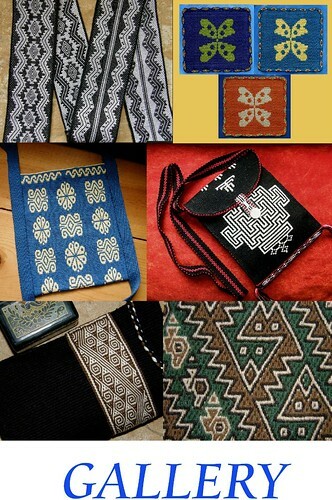 The weavers also think of the snake pattern as representing the life-giving Isoso river along which they have settled. Although this piece is so very narrow and the pattern so very repetitive, it took longer to weave than you might expect…all those tiny silk threads to pick up. 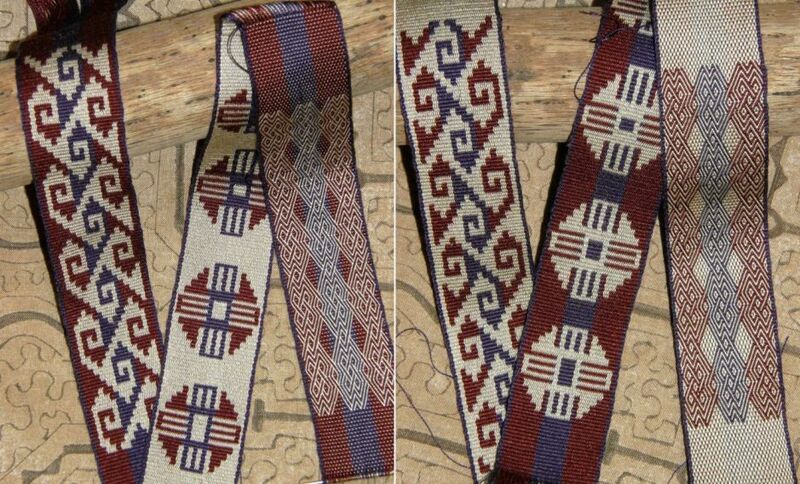 I have volunteered to weave some lanyards for the Braids 2016 conference. They will need to be much longer than this necklace piece..hmmm, I should perhaps get started on those soon! The pendant is one that I had bought, with this very project in mind, at the Northwest Folklife Festival while in Seattle last spring. 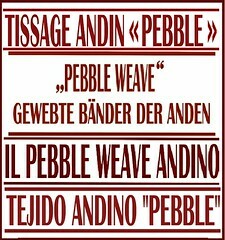 In fact, I had bought two, and so I also wove a wool ñawi awapa band for the other. While visiting with Karen Huntoon in her kumihimo studio and store last year in Truckee, I got some small magnetic jewelry clasps. I suppose these kinds of projects have been on my mind for some time as Karen’s kumihimo necklaces were very inspiring. 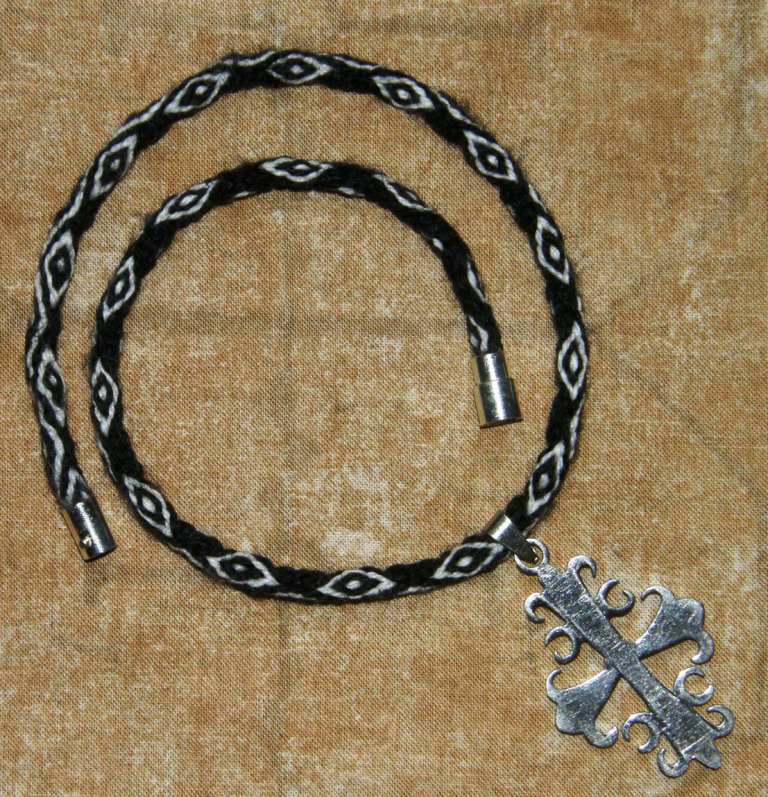 Well, after that, I got a little ñawi awapa crazy and decided that a bracelet in this technique would be fun. 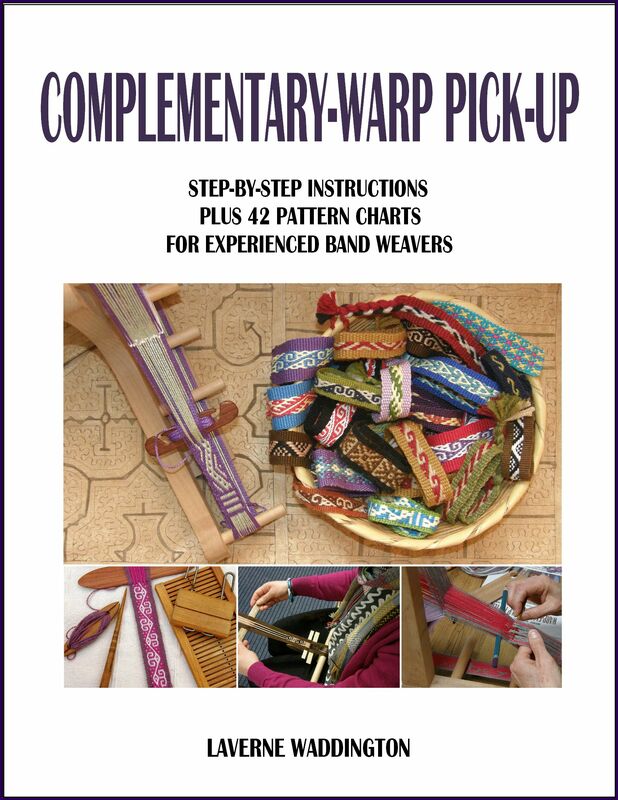 I used fine wool to weave four of these patterned tubular bands and combined them. These are the tiniest ones I have made so far and I think they are really cute. So that was my week in weaving and playing. I still have more of the magnetic clasps. I wonder what else I will come up with. Maybe I will just get down to drawing my large ikat cartoons instead…but, wait a minute…I don’t have an ikat cuff, do I? 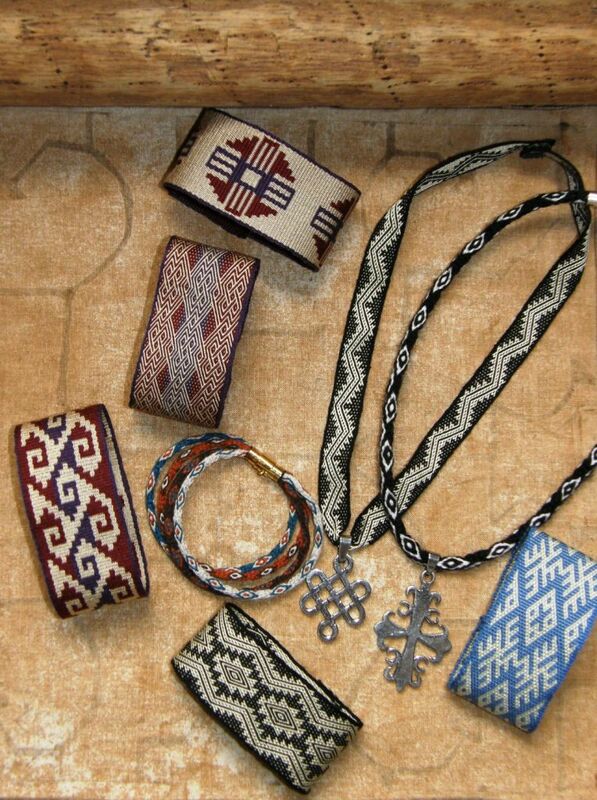 or an ikat necklace….. This is an interesting post. I think the cuffs etc are very pretty. I am trying to make a poncho, from my own hand spun wool, but it is very tricky getting it all set up. Am I the only one to have problems fastening the back strap loom to something? I can’t get it stable, and it all slips sideways, and gets unbalanced, and slack at one side. 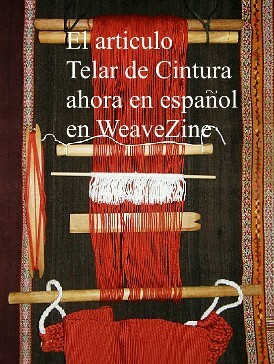 To tell the truth, I find this aspect of weaving the most difficult, and time-consuming. If anyone has any suggestions I would love to hear them. Inserting a coil rod and rolling it to the back of the loom as far as it can go. Thank you for this advice. I will try it out. Hi Sophie. I am looking forward to meeting you at Sheep and Shawl. There is a fair bit of mileage to be put in on the backstrap loom before one can take the Project class. You will be in good shape to go home after the Basics class and try some small projects on your own. Hi, I love your cuff bracelets. But how do you fasten them? they look almost continuous. Hi Carol. Thanks for your comment on my cuffs. I wove most of them using 60/2 silk and so they are very fine. I start them with a selvedge and only need to deal with one raw edge. The fine cloth means that I can fold the raw edge twice and hem without creating excessive bulk. I then overlap the two ends just enough to be able to sew on two snaps which are hidden in the overlap. The wool cuffs are secured by sewing a button to one edge and then sewing a piece of braid to the other edge in a loop. I pass the loop around the button. Enjoy your blog and all things de Bolivia. I am just starting out even though I am old, but mostly like rugs and bands. My question is about the coil stitch on the bottom of an ipod bag and another bag I saw on another of your posts. 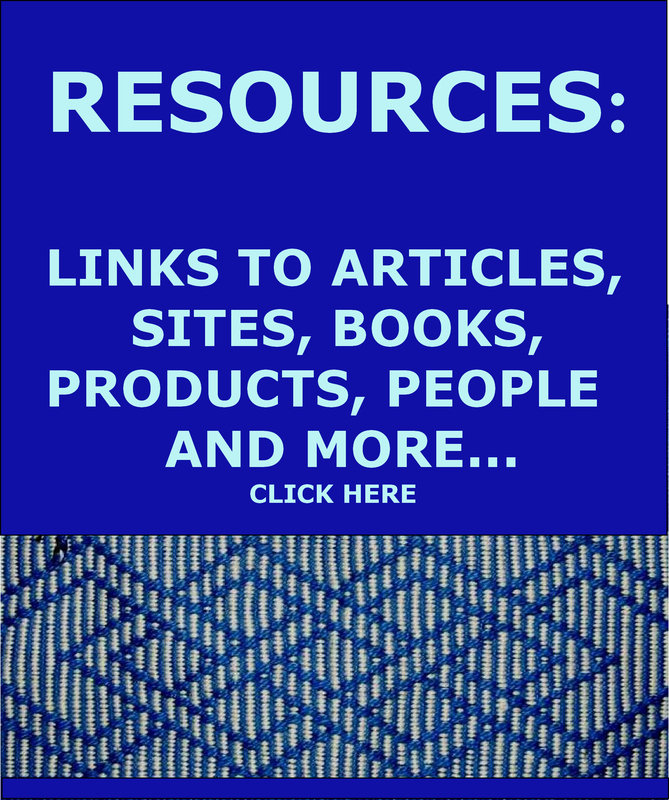 I cannot find pertinent information anywhere on your use, just basket weaving, embroidery, and other stuff. Do you have any more info on this or a link somewhere? Hi Richard. I haven’t written a tutorial on the coil stitch. I teach it in my workshops. My students who know something about embroidery liken it to the boullion stitch, if that helps.